Faith is patient. The Bible makes this clear. It encourages us to “be imitators of those who through faith and patience inherit the promises” (Hebrews 6:12). 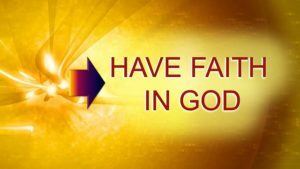 Many of us have unfortunately been rather poorly taught regarding faith. We come to think that faith is for things, rather than in someone. Think that way and faith becomes some sort of magic ingredient in the prayer equation guaranteeing the desired outcome. He’s believing for healing, she for finances, or they for a bigger apartment. I’m not suggesting for a moment that there is anything wrong with trusting God to meet our needs. It’s just that believing for things defaults to faith in faith, which is never a good idea. When this is the case, if things don’t quite work out as anticipated, we end up in all kinds of doubt and insecurity. Adjust the paradigm and see how things shift for the better. 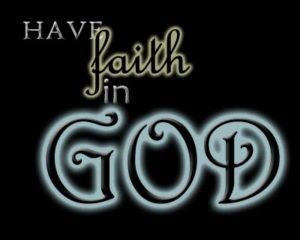 Trust God for healing, finances and accommodation, but place your faith in Him. After all, He is Healer, Provider, Altogether Good, Saviour and Loving Father. Now rest. Be as patient as necessary. Everything will be fine. Your hope is in the Immutability of our God, and not in the strength of your faith.